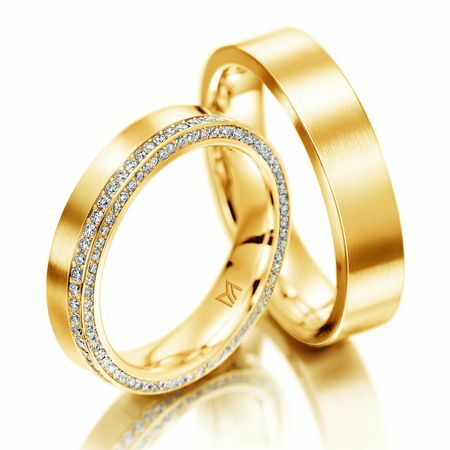 These Meister Classics wedding rings in 18K yellow gold are sold as a set. 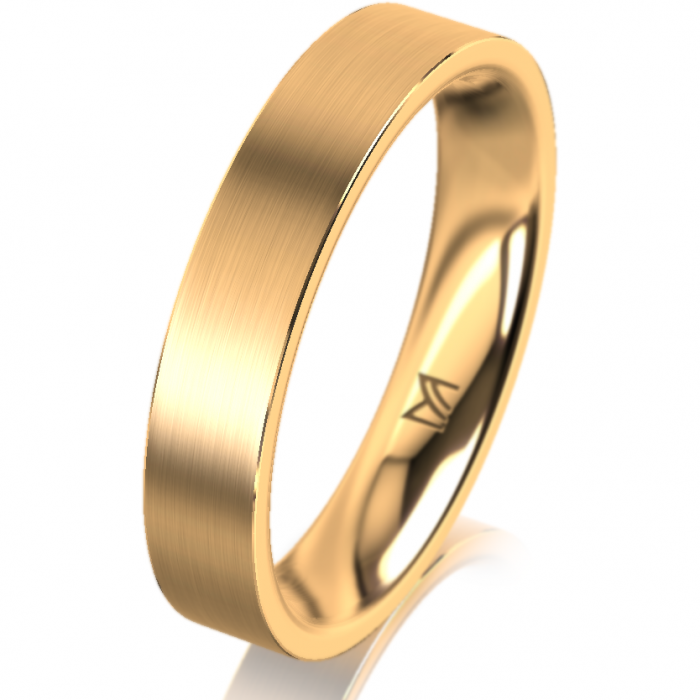 Both the gents and ladies ring have a brushed finish on the outside and a polished finish on the inside. The ladies ring, ref. 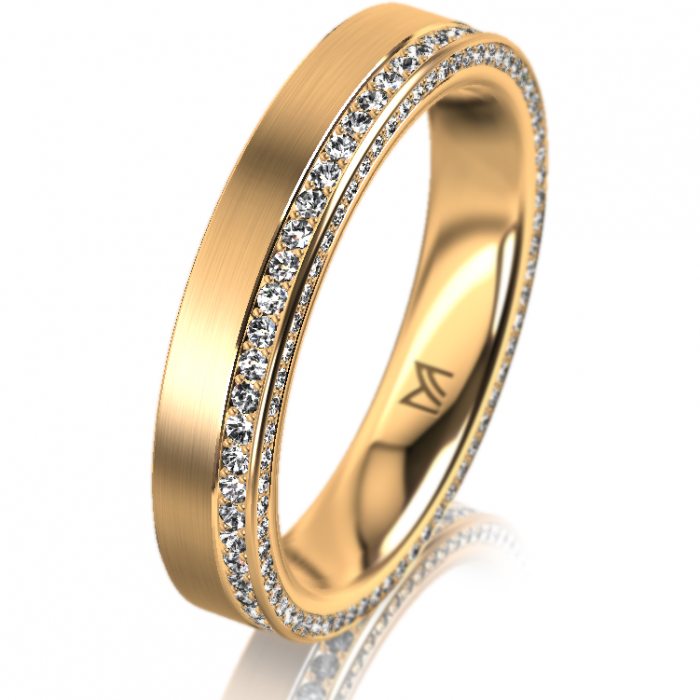 112.8911.01, is set with 126 brilliant cut diamonds, totalling 0.43ct (G-VS). The width is 4.0mm. The gents ring, ref. 112.8911.00, has a width of 5.0mm.